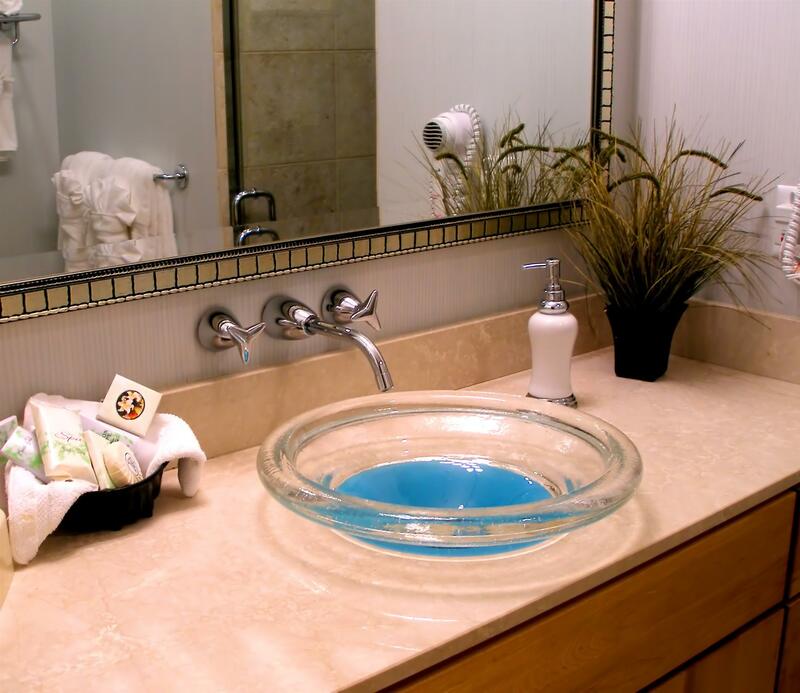 Accessories: Accessories include decoration, wall hangings, art and sink essentials. Begin with a unifying theme. Clearances: All fixtures should be at least 30 inches apart. There should be 30 by 48 inches in front of the sink, 24 inches around the toilet and 45 by 30 inches in front of the tub. Colors: Bright colors add light to a room. Pastels make the room appear larger. When in doubt, use white. Countertops: Choose from tile, solid surfacing (like Corian), Formica and Polyester resin. Flooring: Most important: a non-skid surface. Floor plan: The toilet should not be visible from outside the bathroom, nor be the first thing you see upon entering. Lighting: Halogen or fiber optic lighting help to brighten up the bathroom. Safety: Protect all electrical outlets with a ground-fault circuit interrupter; place switches at least 60 inches from water sources. Showers: Install swinging doors to swing outward to avoid trapping the user. Storage: Storage doors should swing clear of fixtures. Tubs: Platform-mounted tubs should be no more than one step off the floor. Ventilation: Install an inexpensive fan.